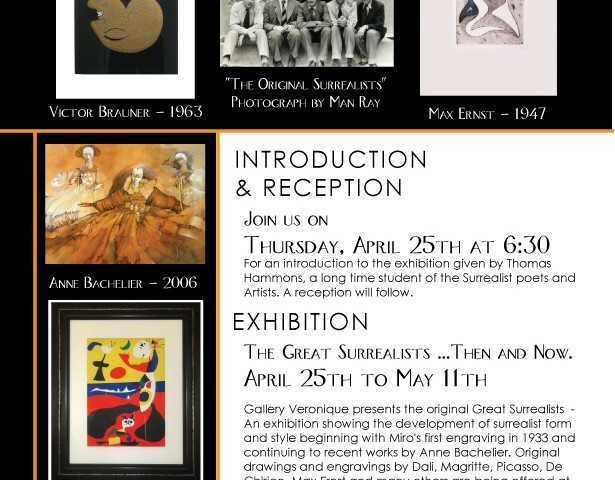 For an introduction to the exhibition given by Thomas Hammons, a long time student of the Surrealist poets and Artists. A reception will follow. The Great Surrealists ……Then and Now. 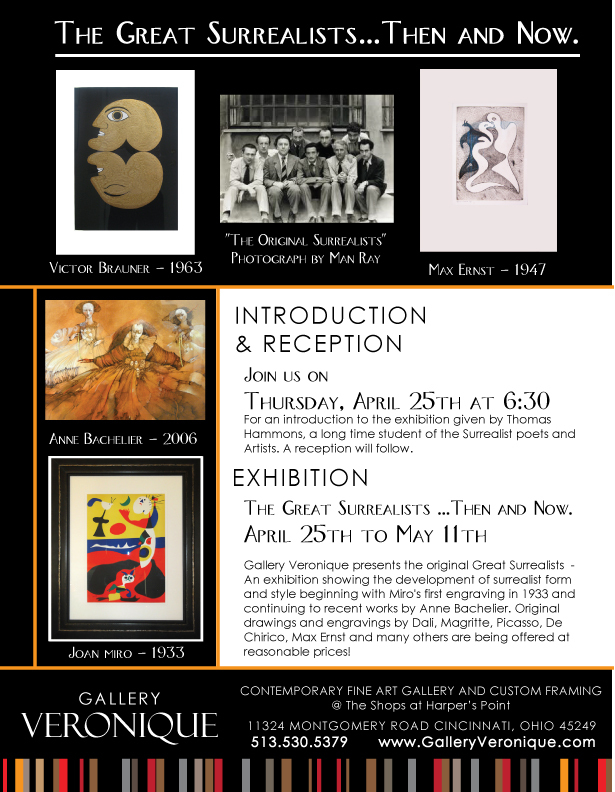 An exhibition showing the development of surrealist form and style beginning with Miro’s first engraving in 1933 and continuing to recent works by Anne Bachelier. 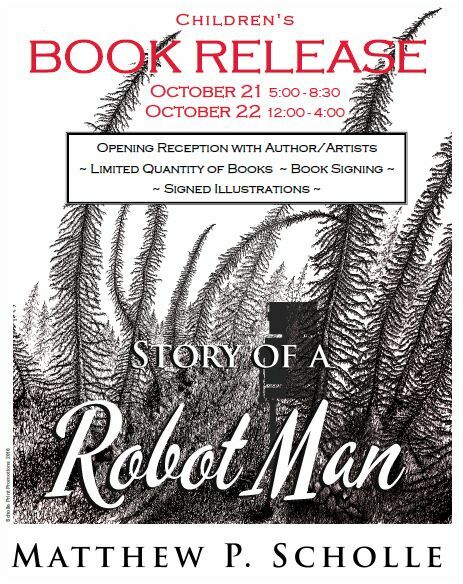 Original drawings and engravings by Dali, Magritte, Picasso, De Chirico, Max Ernst and many others are being offered at reasonable prices!